Richard Kirk Mills, Blair Hines, Jane Ingram Allen, Valentina Dubasky, Frank Ottochian and students. 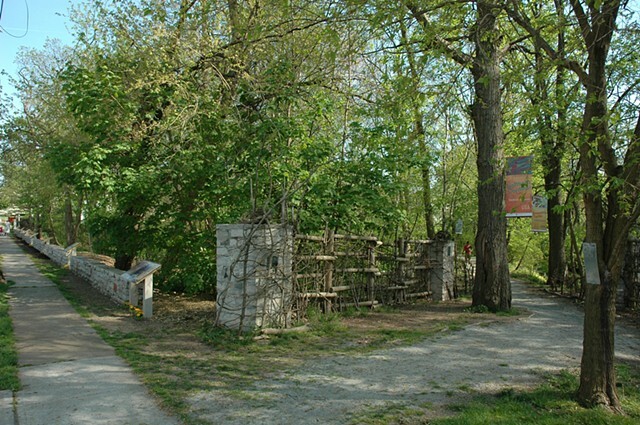 This place-making feature is intended to mark and protect the Conservancy’s 350 foot long Fycke Lane public face; celebrate and reveal the land’s deep cultural and environmental history through interpretive signage and student artwork; provide visual linkage to neighboring schools and the community; and to provide a point of welcoming entrance into the Conservancy. The Conservancy is located in the northernmost reach of the NJ Meadowlands in Teaneck NJ. to all who may choose to delve deeper into any of their aspects. the program of art grant applications, residencies, exhibits and site installations.